Oakwood Exteriors is the Park Ridge roofing & exterior professional you need to call. We offer premium roofing, siding, & window replacements utilizing the highest quality products and most efficient techniques in the industry. With thousands of satisfied customers across central Wisconsin you can be confident that Oakwood Exteriors is the right company to work on your home. GAF Timberline HD asphalt shingles are North Americas #1 selling shingle backed by the best warranty in the roofing industry. Couple that with Oakwood Exteriors certified installers and you will have the peace of mind that your Park Ridge home is protected for years to come. 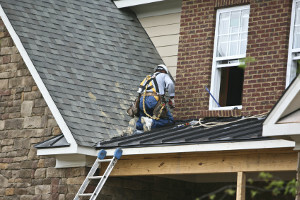 Most roof replacements in Park Ridge are completed in just one day! Decra stone coated steel shingles will completely change the way you think about metal roofing for your home in Park Ridge. Oakwood Exteriors can help you choose the best siding materials and colors for your Park Ridge home using our 3D home visualizer! When it comes to replacement windows there are a couple methods to choose from. Those methods are either a “pocket insert” or “full frame” replacement. Oakwood Exteriors recommends a “full frame” replacement window which includes new flashing, insulation, and interior trim. This method of replacement windows offers many advantages for your Park Ridge home. Most full frame replacement window projects in Park Ridge are completed just one day! Oakwood Exteriors installs spray foam insulation to improve the comfort and energy efficiency of your home in Park Ridge. Spray foam insulation has the highest R-value compared to other insulation materials. Spray foam insulation properly insulates tight spaces where other insulation materials simply won’t fit. Spray foam also provides the tightest air seal keeping moisture, mold, pollutants, and allergens out. I had my roof done by Jordan and his team at Oakwood Exteriors. I was really impressed with the professionalism, speed, and efficiency of this business. Jordan was very quick with the estimate and it was extremely reasonable. The roof was put on in a day and everything was very clean when they left. If I was to need any other service that his business offers, I would definitely give him a call again. It was truly a pleasure dealing with someone that is honest in business. Thank you Oakwood Exteriors!!! I wasn't even planning on a new roof until next year; but I received Jordan's introductory card in the mail and decided to get an estimate 'for future use'. I was so impressed with the estimate and packet of information that Jordan sent, that I decided to contact his references and consider replacing my roof immediately. It was Memorial Weekend, so no one was home when I called; I left messages. Every person called me back to tell me how very pleased they were with Jordan's work. With that kind of feedback, I decided that now was the time. I hired Jordan to replace my roof and to replace a privacy fence. I couldn't have been more pleased with his workers and his work. Jordan returns calls and emails in a timely fashion before, during, and after the project is completed. He is thorough in his estimate, explanations, and workmanship. When the job is completed, the work site is impeccably clean; all roofing pieces, fence pieces, nails, etc. were cleaned up. Jordan completes the project within the estimated time frame, and his workmanship guarantee is better than any I've seen. I recommend Jordan without reservation and look forward to working with him in the future.